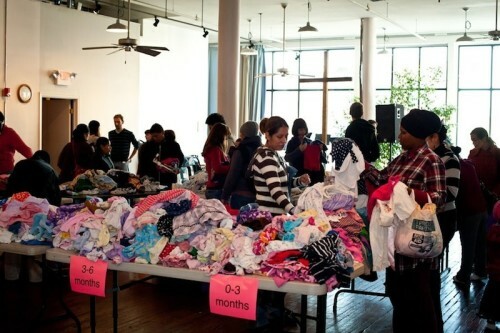 Clothing the Community:Finding Purpose in Repurposing — Anna Akbari, Ph.D. The recent 13th annual “No Pants Subway Ride” in New York City reminded us that clothes - or the intentional lack thereof - can indeed bring a community together. In fact, a recent study shows that social purpose is the growing “purchase trigger” among US shoppers. When all else is equal, we’d rather get more connection with our capital. With the rise of the share economy only broadening what’s considered capital, it’s now possible to be both consumer and producer, potentially doubling the experience of social purpose. At the same time, however, we don’t trust leaders to tell the truth as much as we used to, and so many communities have taken social purpose into their own hands, especially on the clothes-for-causes front. Although the average US citizen throws away 70 pounds of textiles a year, individuals, nonprofits and brands are providing more and more creative ways to repurpose clothes for the community. 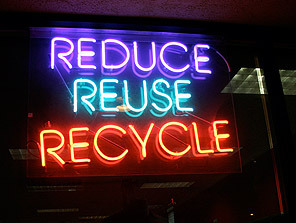 Here are five ways to repurpose clothes for the community. 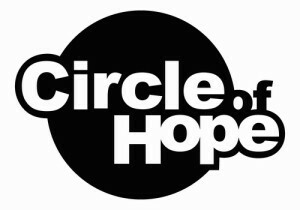 Circle of Hope in Philadelphia partners with a local thrift store to host a monthly Baby Goods Exchange, where anyone can drop off and pick up used baby and kids clothes, toys, gear, books and maternity wear. Besides the obvious benefits for cash-strapped parents and overflowing landfills, this event also provides a connection point for families to connect and build community. 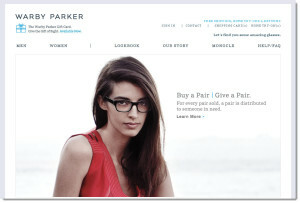 Named one of Huffington Post’s Game Changers in 2011, Warby Parker has turned the retributive dictum “eye for an eye” into something altogether edifying. For every pair of glasses they sell, they provide a pair for someone in need around the world. They estimate that close to 1 billion people don’t have access to glasses, which affects learning and productivity, and have already donated over 250,000 pairs. 3. Operation PROM Operation PROM is one of the many organizations around the country helping young women find the dress of their dreams for the big high school night. This year, its Brooklyn chapter is hosting its first dress drive to gather 300 gowns for teens who cannot purchase their own. Operation PROM also partners with Men’s Wearhouse to collect and rent free tuxedos for teen boys. Buffalo Exchange provides clothing “by the community, for the community.” Located in 47 urban neighborhoods around the country, 80% of their clothing is bought from local customers. Besides being a leader in the used fashion industry, they also officially went bag-less a few months ago, while continuing their Tokens for Bags program for customers who bring in reusable bags or opt out of using one altogether. This green chain is also known for Coats for Cubs, its annual used fur drive, which has collected over 7,500 used furs on behalf of wildlife rehabilitators since 2006. Anna Newell Jones has upped the ante on clothing swaps, offering perks ranging from free drinks for the first 50 guests to $5 manicures and photo booth sessions. Her swap rules and FAQ’s ensure quality and equitability for all involved, making grungy, picked-over swaps a thing of the past (unless they’re swapping grunge on purpose, of course!). 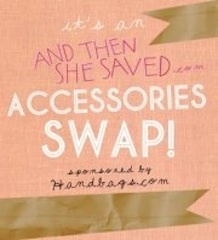 How does your community repurpose clothes? We want to know!